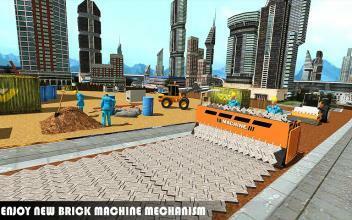 Mega City, Heavy Duty Machines, Highway & Road Construction We bring all these machines and a lot of fun for our worthy users to play this amazing construction simulation game of the modern era. 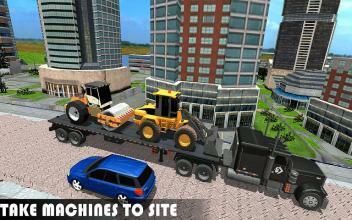 Your mind will blown away with this heavy duty vehicles in realistic environment of mega city. Roads are very important to connect cities and travel all along with family and friends. Highways and underpasses make the city travelling more easy and much fun fulfilled. Make bridge construction fun for our users is our first and worthy choice. Construct road in this game by several process with construction machines like bulldozer, excavator simulator, heavy forklifter and mighty dumper. In some levels you may dig the surface with heavy excavator and the put gravel and mud in it using heavy loader. Then put some raw material in that whole and make it little cleaner surface then bring gravel to the construction site with heavy loader truck. Put that gravel on the surface of earth, you filled with mud or raw materials and the wait for a while to bring the dumper and roadroller on construction site. Yes, see your co-workers as well on the construction site and drive them to home with bus pick and drop service in Bricks Highway: Road Construction Games 2019. 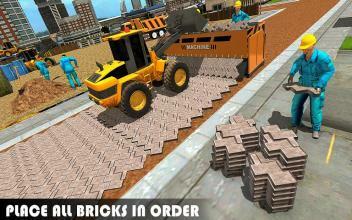 Play the role of constructor and contractor in the game call Bricks Highway: Road Construction Games 2019. You will get bonus for early completing the levels, your performance speed all depends upon the clock speed. Well, go to construction simulator and work on the site with your colleagues in hot weather of NYC. There are huge flyover in the city and it was build in flyover construction simulation, avoid them while driving heavy duty truck trailer and large cranes in the city. Real road builder like experience in the modern city of latest era, construction games are playing important role in the learning of new kids to break the ice. City highway construction will help the citizens to get over distance very quickly or citizens can move within the tunnel construction and complete the builder levels. Yes, you can construct the border wall for security in our upcoming updates of the Bricks Highway: Road Construction Games 2019. so stay update with the game. 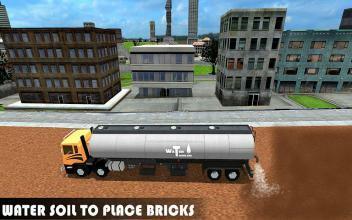 Features of Bricks Highway: Road Construction Games 2019: 1. This road construction game has intuitive controls 2. This builder game has dozens of crane simulators 3. 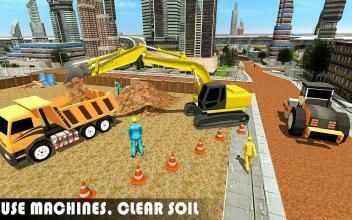 Eye catching graphics with realistic construction zone 4. Drive heavy machinery like Cranes, roadrollers and water spray machines 5. Enjoy HD quality and super immersive environment and realistic sound effects 6. Amazing audio effects and multiple vehicles to drive 7. Easy and smooth controls to drive all the vehicles 8. Explore various construction sites that need to be constructed 9. Be an expert road construction builder in 3D simulator 10. Real life simulation 11. Universal and free game for you. 12. Enjoy this mega machines equipment game We are constantly working hard on making the game better and more entertaining for you. We need your constant support to get going. Please feel free to give us feedback for build new roads.